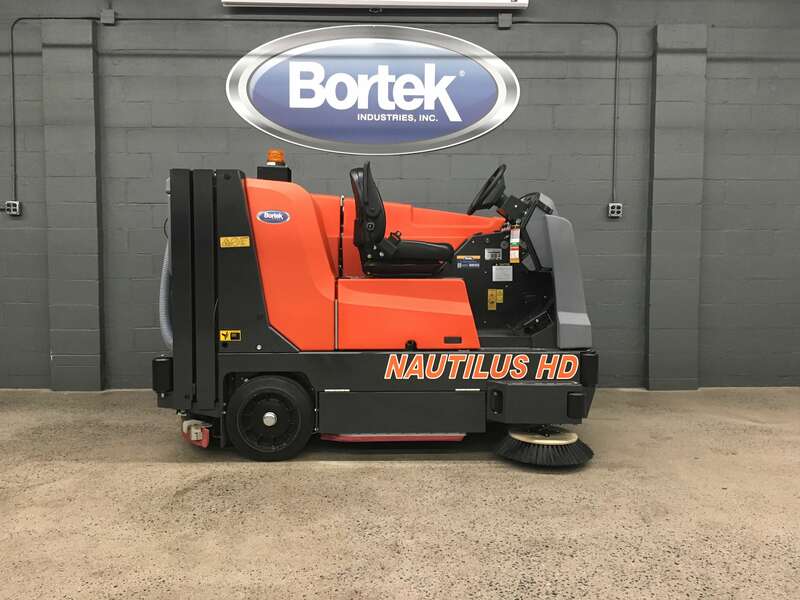 PowerBoss Nautilus Hi-Dump Scrubber/Sweeper - Bortek Industries, Inc. 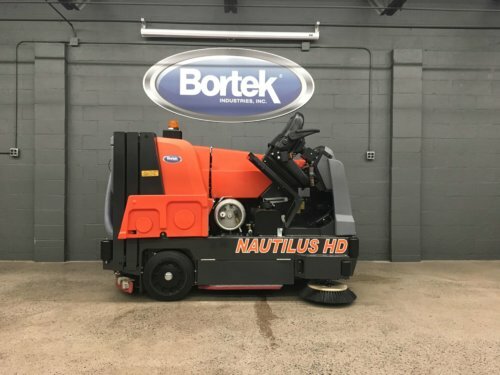 This user friendly scrubber/sweeper maximizes operator efficiency due to easy raising and lowering of the hopper as well as a large water capacity for longer cleaning time. 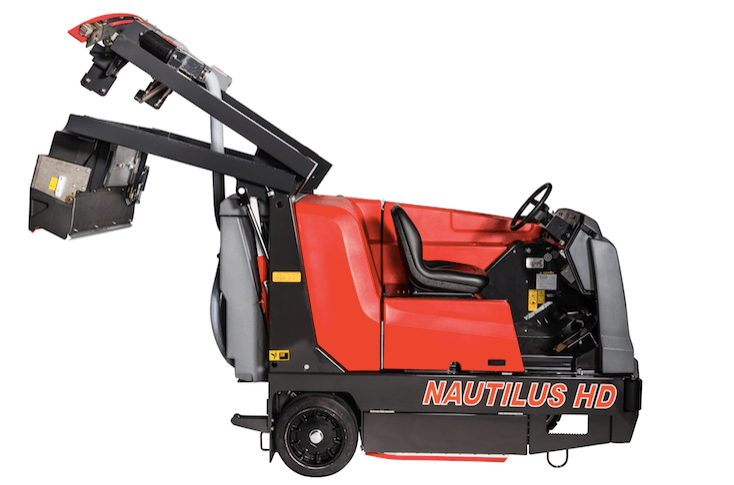 The Nautilus HD can provide great value to your company. 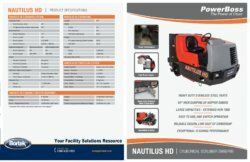 The PowerBoss Nautilus Hi-Dump Scrubber/Sweeper can be an exceptional value to your company. 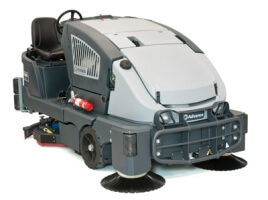 Large water capacities provide longer cleaning time, heavy duty stainless steel parts offer lower cost of ownership, and the unmatched maneuverability helps to ensure professional cleaning results that will make the difference for you. Powerboss Nautilus models have the exclusive option of Thermal Green Technology. This simple, but effective hot water system makes use of the heat already being generated by the engine’s catalytic converter to heat up the cleaning solution. The hot water is dispensed along the scrub path to significantly aid in loosening soils for even more thorough cleaning. The effect reduces the need for additional detergents to the point that some areas may be cleanable with hot water alone! It’s sensible, low-maintenance, and energy-efficient cleaning. You clean everything else with hot water; why not use it when scrubbing the floor? Read more. 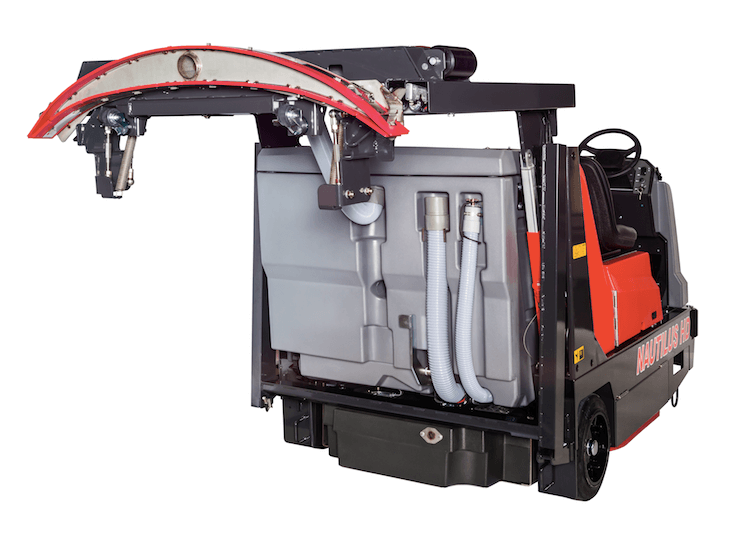 60 Inch High Dump: The high dump incorporates two separate lift arm assemblies. Each of the two lift arm assemblies has its own hydraulic cylinder and a safety tube. The hydraulic cylinders are used not only to raise the bumper and hopper but also to lower the bumper and hopper. 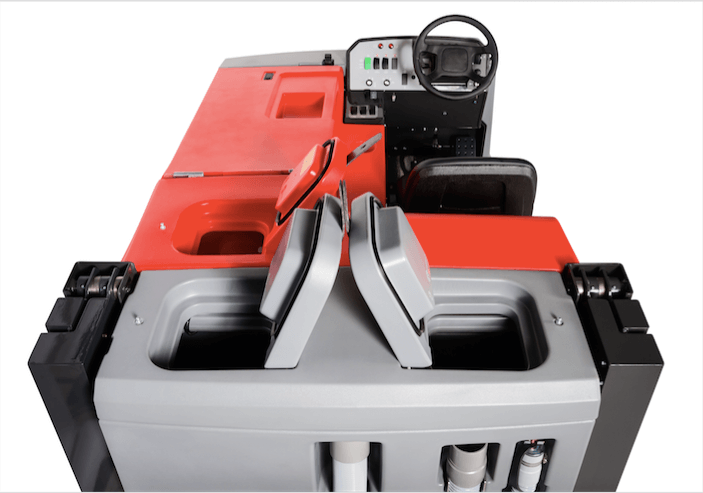 Independent Squeegee and Hopper Controls: This allows for superior service and maintenance positions. Heavy Duty Compact Design: This design is industrial grade for durability without compromising maneuverability. Enjoy tool-free access to your scrub brush! 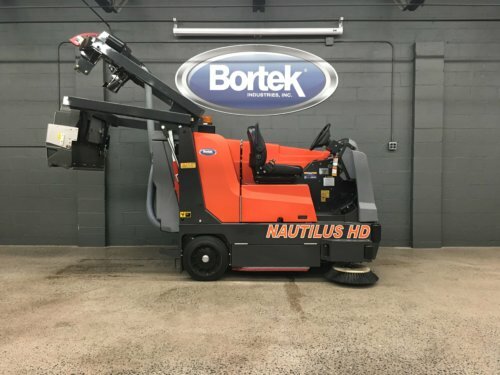 Access the front of your Nautilus HD with ease! 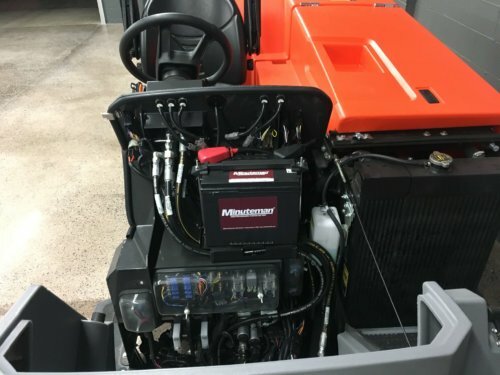 Easy access to your Propane & Hydraulic Fluids! 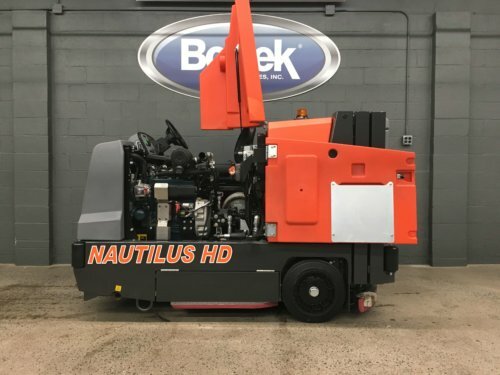 The Nautilus HD provides maximum access to the engine! 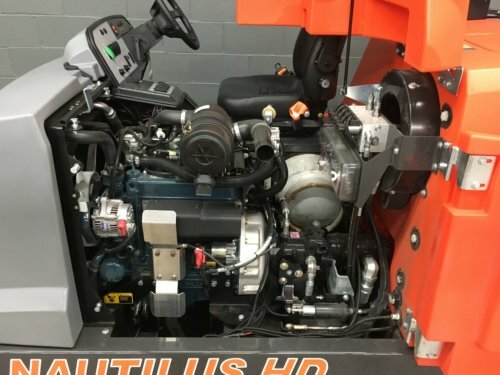 Kubota Engines ensure maximum reliability! Raise your hopper and squeegees independently! Access your squeegee and hopper with ease! 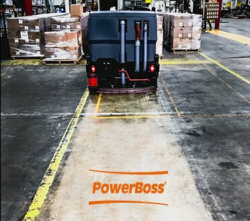 The PowerBoss Nautilus Hi-Dump Sweeper/Scrubber can be an exceptional value to your company. 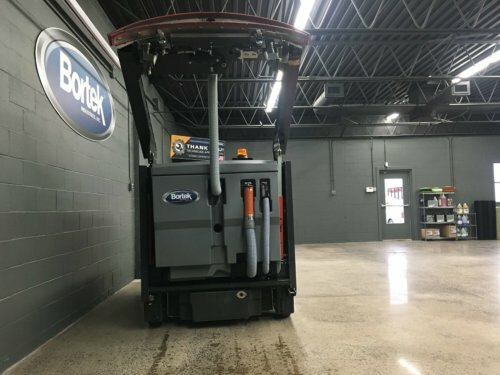 Large water capacities provide longer cleaning time, heavy duty stainless steel parts offer lower cost of ownership, and the unmatched maneuverability helps to ensure professional cleaning results that will make the difference for you. 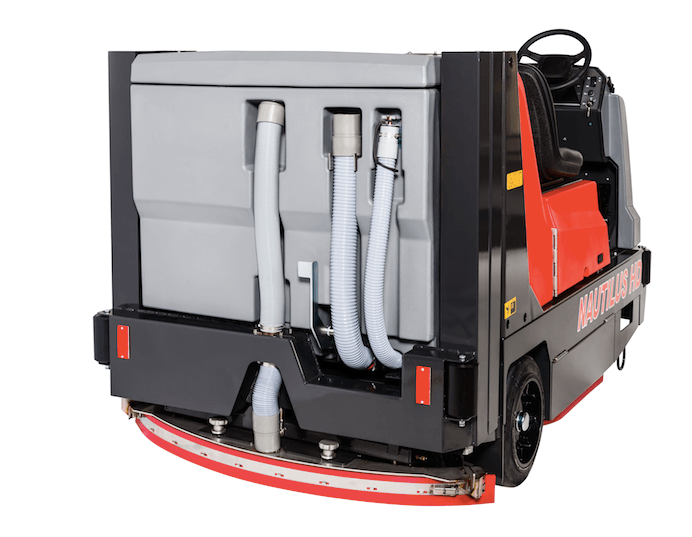 Improve productivity by delivering exceptional sweeping and scrubbing performance and enjoy health and safety benefits with the M20 Integrated Rider Sweeper-Scrubber. 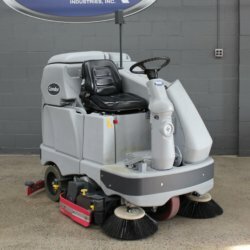 The M20 is easy to operate and maintain, and quickly enhances your facility's image by cleaning in a single pass – wet or dry. 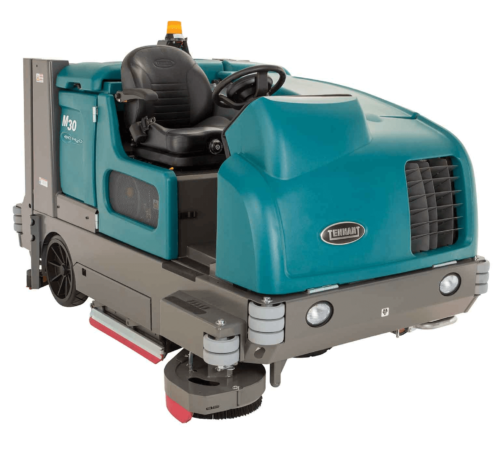 Improve productivity by delivering exceptional sweeping and scrubbing performance and enjoy health and safety benefits with the M30 Integrated Rider Sweeper-Scrubber. 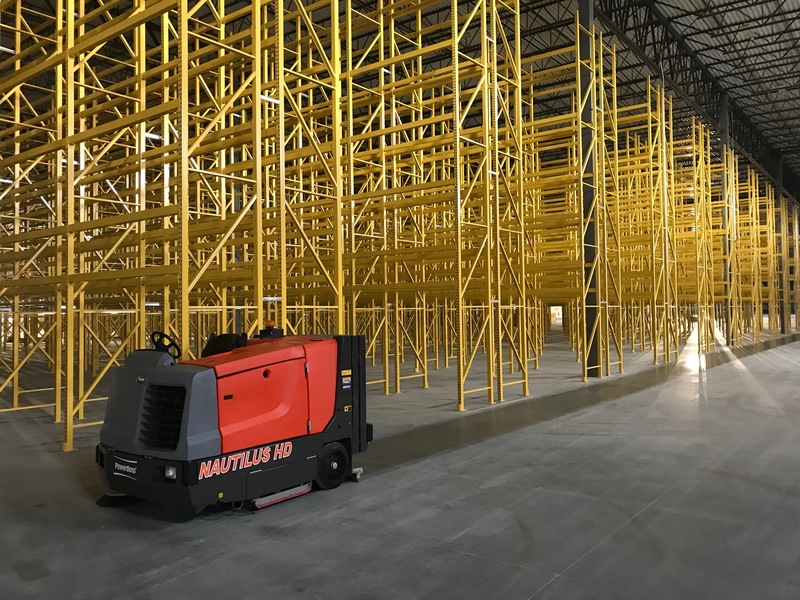 The M30 is easy to operate and maintain, and quickly enhances your facility's image by cleaning in a single pass – wet or dry. 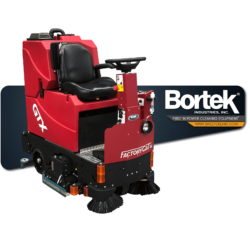 The Advance CS7000 Combination Sweeper–Scrubber reduces total cost of ownership — including operation, labor and maintenance, while effectively doubling fuel economy and run-time efficiency. Now the most economical solution is also the most ecological. 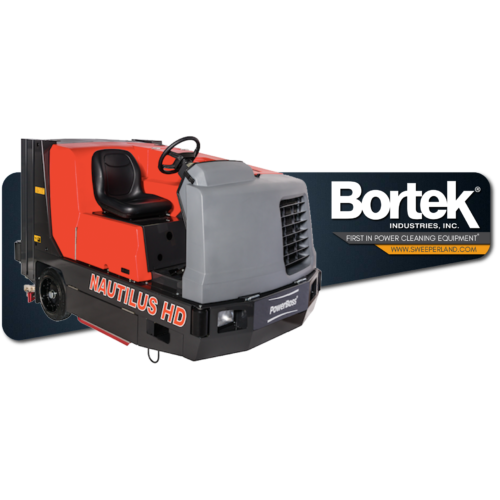 Available in three models, LPG-Hybrid, Diesel-Hybrid and ePower™ Battery, the CS7000 replaces power-hungry, high-maintenance hydraulic systems with efficient, state-of-the-art Electric Drive technology. 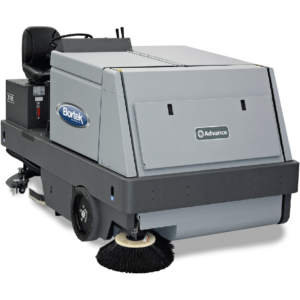 Whichever model you choose, the CS7000 delivers the most sustainable cleaning solution and the lowest cost of ownership in its class. 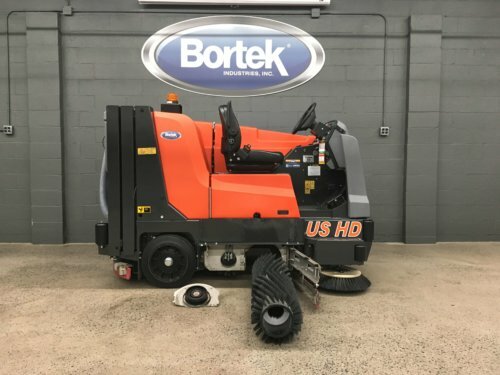 The Advance 7765 (formerly known as the American-Lincoln 7765) high capacity sweeper/scrubber is designed to maintain your Industrial facility inside and out. 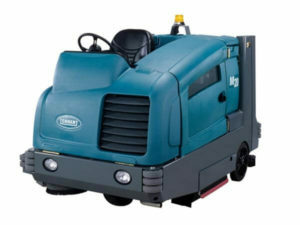 The Advance 7765 is the most powerful, reliable, and largest sweeper/scrubber on the planet. The 7765 is currently cleaning 10’s of millions of square feet in the toughest applications world wide. 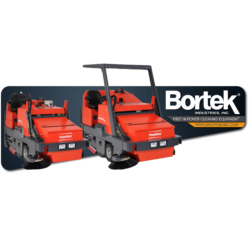 This model will perform efficiently, reliably and productively, and makes an excellent investment for any business looking for heavy-duty sweeper-scrubbers.